More information about the board can be found at the Nucleo F429ZI website. 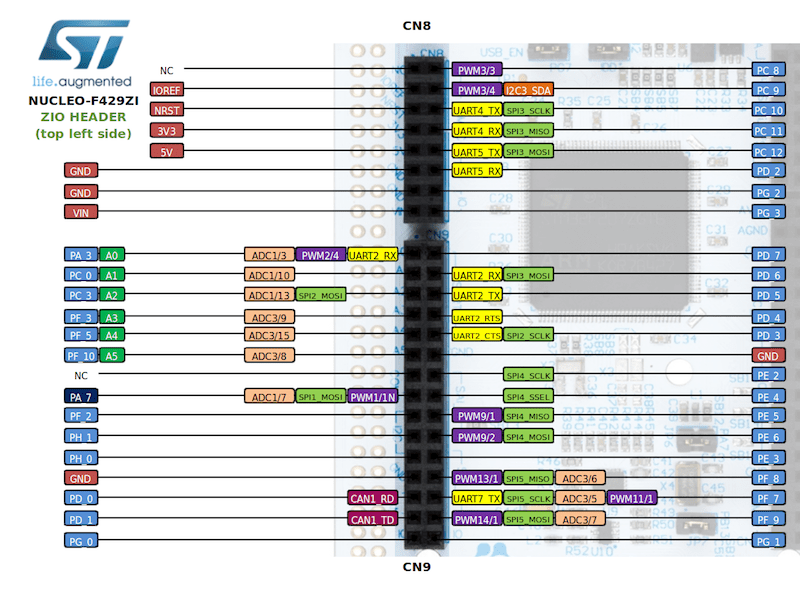 The Nucleo F429ZI Board has 8 GPIO controllers. These controllers are responsible for pin muxing, input/output, pull-up, etc. The Nucleo F429ZI System Clock could be driven by an internal or external oscillator, as well as by the main PLL clock. By default System clock is driven by PLL clock at 180MHz, driven by an 8MHz high speed external clock. 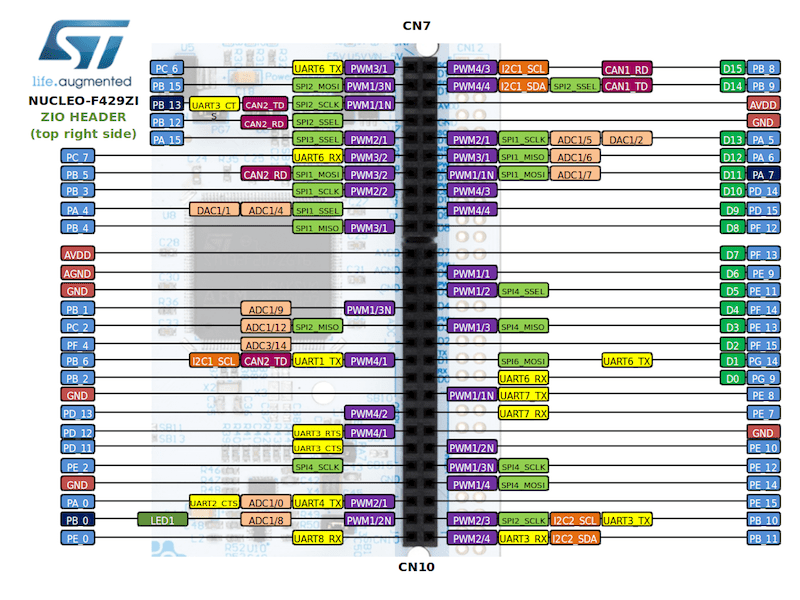 The Nucleo F429ZI board has 8 UARTs. 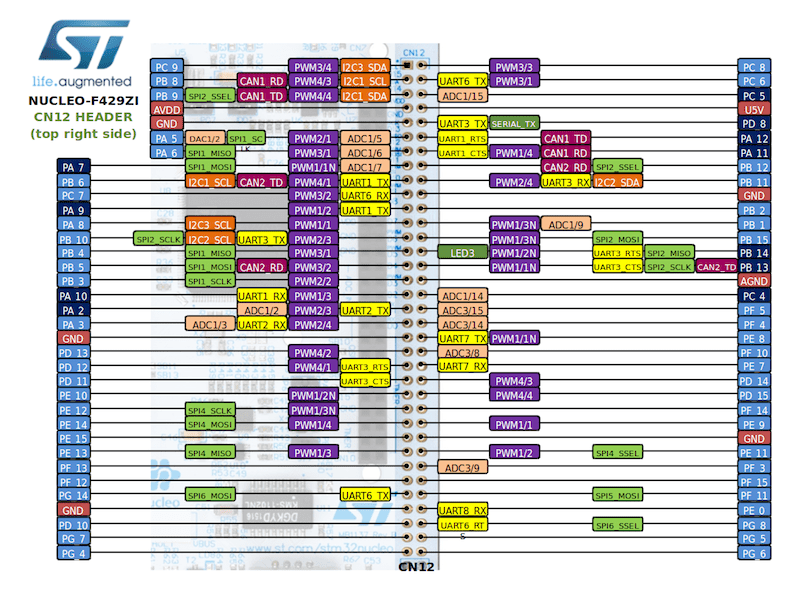 The Zephyr console output is assigned to UART3. Default settings are 115200 8N1. 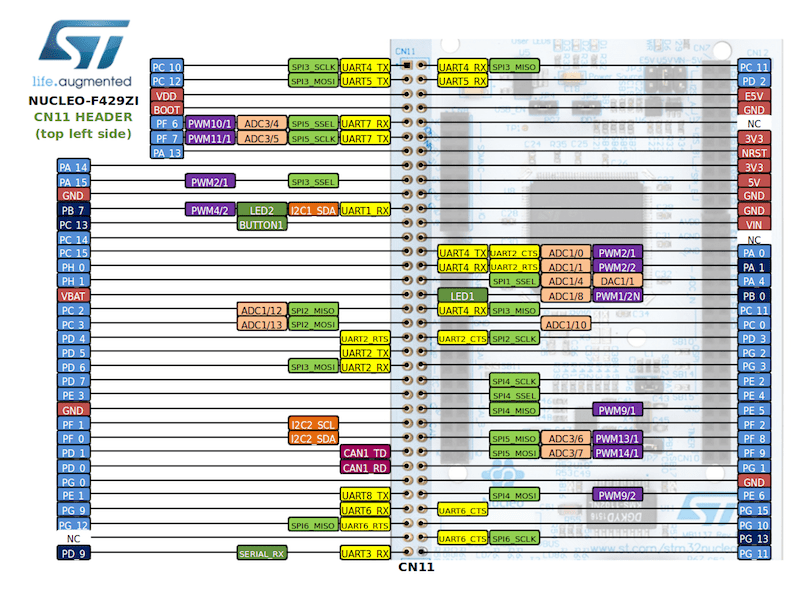 The Nucleo F429ZI board includes an ST-LINK/V2-1 embedded debug tool interface. This interface is supported by the openocd version included in Zephyr SDK.